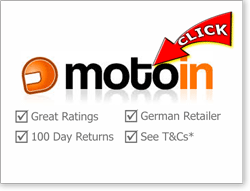 10 Best place to buy this Scorpion crash helmet? 15 Good Alternatives to the Scorpion Exo-3000 Air? 17 Definitely want a Scorpion? 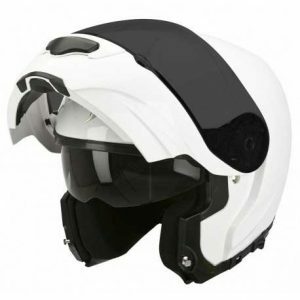 The Scorpion Exo-3000 Air is Scorpion’s top-dog modular helmet, designed to be quiet, light and aerodynamically-stable and to offer all the bells and whistles we demand from our flip-up helmets. You’ll find every bit of information we can find about the Exo-3000 Air below – including what owners and riders think of theirs, taken from comments and views expressed around the web. 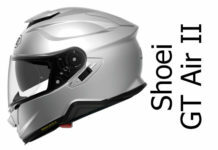 If you’re looking to buy a modular helmet, then you should be after a helmet shell that’s gonna offer decent protection as well as a chin guard that you can rely on. In the case of the Scorpion Exo-3000 Air, SHARP has rated it a slightly above average three stars (out of a maximum 5). Also, during their comprehensive testing, the chin guard stayed locked and closed in 97% of tests – which, while not perfect, is pretty damn close and well above average. Of course, it’s also ECE certified in Europe (and self-certified DOT in US) meaning it’s also undergone the rigorous ECE testing all European helmets have to undergo before hitting the shelves. 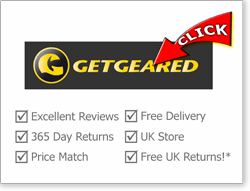 Make of all this information what you will – but we’d ideally suggest you opt for a four or five star rated helmet (click the link to find those). Of course, impact protection isn’t the whole story. You want a helmet that’s going to do its best to keep you out of trouble in the first place. Well, the visor on the Exo 3000 Air is nice and wide and is Pinlock ready (though there’s no Pinlock anti-fog included in the box, which is a shame). A wide visor is great for max peripheral vision and reducing stuff creeping up on you unnoticed, while it goes without saying that having fog-free vision is important for safety – and a Pinlock’s one of the best ways for keeping things clear. The Scorpion’s also made in 3 helmet shell sizes (good for safety and fitment) and is well below average weight for a modular. That’s good for reducing impact pressure on the head and neck during an impact. So, for safety, it’s swings and roundabouts with the Exo-3000 Air. There’s lots of features that the Scorpion does well, but it just falls down a notch on the SHARP safety rating. We all want a quiet helmet if we can. And so did Scorpion because they set out to make a helmet that’s aerodynamically sleek (to reduce wind noise) and has decent internal padding (to reduce wind noise) as well have inflatable bits inside (to reduce wind noise even more). While there’s a couple of dissenting voices out there saying it’s quieter than their last helmets (which doesn’t really help anyone I guess) the vast majority reckon the Scorpion Exo-3000 Air is a noisy blighter. It seems to be particularly noisy on nakeds with one or two owners reporting a mind-frazzling whistling as well – possibly-maybe coming from the sun visor slider. Of course, flip-front helmets aren’t known for their noise-attenuating capabilities, though you can check out our quietest helmets to find the ones that do (or choose modulars/quietest in our smart filters to quickly zoom in on the quietest modulars around). But if you’re looking for a quiet modular lid – then you should probably bypass the Exo 3000. Though saying that, you should always wear the best ear plugs you can whenever you ride any distance, in which case the noise shouldn’t really bother you too much. In contrast, ventilation on the Exo-3000 Air is generally rated as outstanding. That’s surprising given that the vents on the 3000 Air look pretty standard, with a single chin vent and single forehead vent routing air through into helmet, with a small double exhaust vent on the back. Not only do owners say – almost without exception – that the Exo-3000 Air vents very well, but they also say the switches are easy to use in gloves. We’d say that’s job done. The visor on the Scorpion Exo-3000 Air seems to tick all the right boxes – bar one. 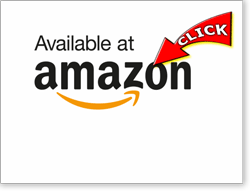 It works on a ratchet, and has the opening tab to the bottom left – which, along with bottom centre, is probably the most convenient place. It’s also a quick-release visor, meaning you can whip it off easily to clean it. And quite a number of owners said the visor is nice and wide, giving a great field of vision. These are all VERY GOOD THINGS. It’s also Pinlock Max Vision ready. Unfortunately though, it doesn’t come with the Pinlock anti-fog insert in the box. Some helmets do, others don’t so it’s not that unusual that a helmet’s Pinlock-ready but delivered without the Pinlock. Still, you’ll need to budget £30-£40 get yourself anti-fogged up with the Exo 3000 Air. Visit our Pinlock helmets pages to find other helmets that are either Pinlock-ready or come with a Pinlock insert in the box. Other than that, all’s well with the Scorpion’s visor. The Scorpion Exo-3000 Air has an integral drop-down sun visor, operated by a slider along the bottom left hand side of the helmet. That position for the slider is a bit more difficult to achieve for the manufacturers but is a good position for riders when compared to some makers who put the slider on the top of the helmet. The sun visor is UV400 (the highest rating) and EverClear anti-fog treated: and owners say it works well – coming down nice and low and covering most of your vision. 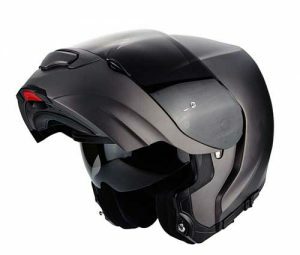 Because the Scorpion Exo-3000 Air is a flip-up helmet, you might be forgiven thinking that the chin guard might be a bit of a weak link. And you’d (often) be right. Most of us buy a modular helmet because we like the idea/convenience of being able to use the helmet like an open face from time to time. But we also want the protection that a full face helmet offers. And while most modulars are designed to give full face style protection, not all manage it very well. So, how do we tell which will? Fortunately for us, SHARP measures how often the chin guard stays closed and locked during their helmet safety testing, giving us an idea of how trustworthy each chin guard is. In the case of the Scorpion, the chin guard unlocked in just 3% of impacts. That equates to opening just once during all 32 impact tests. And while we’d all like it to stay closed and locked 100% of the time, 97% is actually a very respectable score. All this safety business aside, owners reckon it’s very easy to open the polycarbonate chin guard (it’s not composite fibre like the rest of the helmet shell), and say it closes with a nice positive clunk – so you know it’s closed OK.
Before we move onto the rest of the internals, you’re probably wondering what the ‘Air’ part of the Scorpion Exo-3000 Air is all about. Well, like most of the Scorpion range, the Exo-3000 has some internal air bladders and a small rubber pump. Scorpion calls this its AirFit concept, but to us it’s just a rubber bulb you can squeeze to inflate air pockets in the cheek pads. So if you buy a 3000 Air and you think it should fit your face a bit tighter, then you can inflate the cheek pads a bit to get it to fit just right. And the 3000 Air takes things a bit further than other Scorpion helmets because it has, for the first time, a neck air pocket – designed to tighten things up around the neck as well as keep the draft and noise out. Is it all any good? Well, some owners reckon so, others not so much. I guess if you find things get a bit loose over time, then you might start to experiment. But we’d suggest if you do buy a new AirFit helmet, make sure the helmet is nice and tight without the AirFit inflated in the first place and don’t rely on the AirFit sorting things out. Then, as the helmet loosens over time, you can choose to use the air if needed. Other than the AirFit, the 3000 Air features Scorpion’s highly-rated Kwickwick3 liner – that’s a nice and soft moisture-wicking fabric that’s also hypoallergenic and machine washable. Most owners say it’s really comfy with good padding. 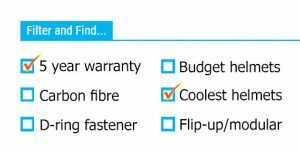 Though note, a few did say the 3000 Air sizes a bit small so while we recommend you follow our fitting guide and buy the correct size, it’s just possible you might find it a bit of a tight squeeze and have to return it for a size up. Obviously, as long as you don’t strip the helmet of its tags and stickers – and buy from one of our recommended retailers – you’ll not have a problem with swapping sizes (and some of our recommended stores even cover the cost of the returns). 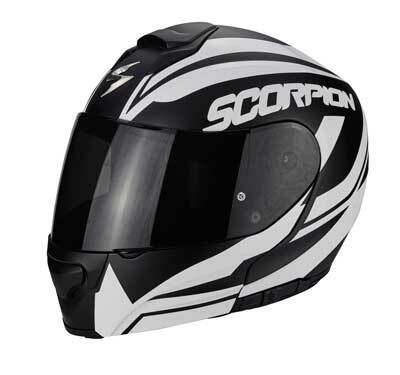 Most of the Scorpion Exo-3000 Airs are in the usual plain/solid colours – with gloss white/black, a matt black and silver (or hypersilver – wow!) being available. There’s also a single neon yellow hi-viz version and one graphic option called Serenity. 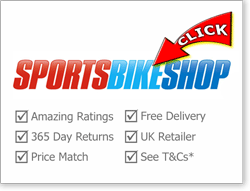 If they do release any other graphics, you’re best clicking through to our recommended retailers below to discover them and see any helmet offers that are going on. Here’s a 4m video from the UK importer showing you around the 3000 Air. The Exo 3000 Air comes with a quick/convenient micrometric fastener. It has speaker pockets so you can use it with your bluetooth; though there’s mixed reception as to how deep the pockets are. A couple of owners with Sena headsets said it works just fine while one owner with a UClear HBC said it was too tight for a comfortable fit. Weight – or lack of it – is one thing owners love about the 3000 Air. And while it’s about average weight if you look at all full-size helmets, if you take modulars – which way an average of just under 1.7Kgs – the Scorpion Exo 3000 Air weighs in around 1.55Kg so is nice and light for a modular. It also has glasses grooves so should take the stems of your glasses without them pressing into the side of your head, and one owner said he could even put the helmet on without taking his glasses off first. Build quality and finishing is said to be very good and the 3000 Air – like all Scorpion helmets – is backed by an excellent 5 year warranty. Apart from the noise, there’s very little that owners moan about – and there’s lots they love about the Scorpion 3000 Air. It’s a very competent modular with a great visor system, wonderful ventilation and it’s nice and light and comfy to wear all day. OK there’s no Pinlock included in the box – though at this price, you can arguably afford to buy one and still end up with a great helmet at a very good price. 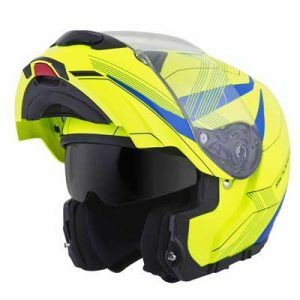 It’s not as highly rated for safety as some, but if you’re after a light weight composite flip-up helmet that’s well built and backed by a 5 year warranty (that covers the expected lifetime of the helmet) then the top of their range Scorpion Exo 3ooo Air is well worth your money. Good Alternatives to the Scorpion Exo-3000 Air? First up, there’s the SHARP 4 star rated Shark Evo One. That’s a dual homologated modular where the chin guard flips right to the back of the helmet so you can really use it as an open face. It comes with a Pinlock Max Vision insert in the box too. So too does the Shark Evoline 3, and that one’s SHARP 5 star safety rated. 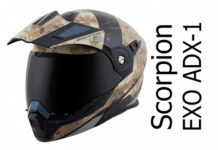 Both helmets have drop down sun visors too and can be had for about the same price as the Scorpion. 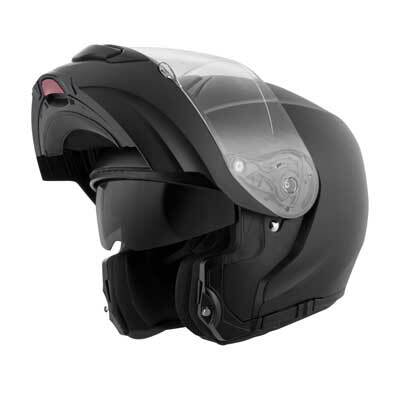 The AGV Compact is a great helmet. OK so it’s noisy too, but it’s cheaper than the Scorpion, has a sun visor and it’s SHARP 4 star safety rated. Or how about the HJC IS Max II – that’s another 4 star safety rated modular that scores well in every area – though it’s about average for noise. 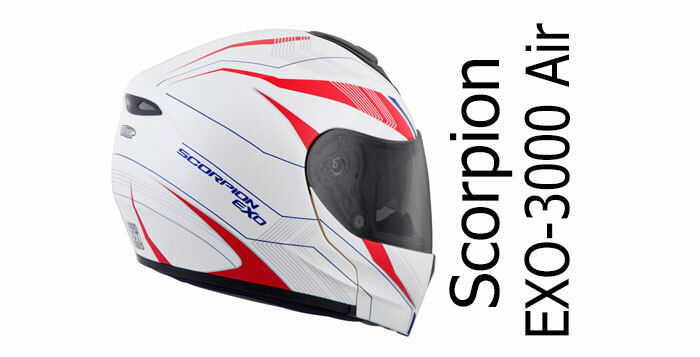 The Scorpion Exo 3000 Air is Scorpion's top of the range modular crash helmet. 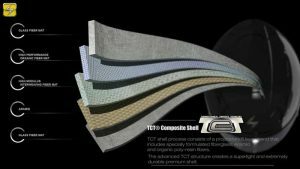 It's a strong performer in every aspect - except for noise suppression - and it excels in offering superb ventilation and light weight (for a modular). 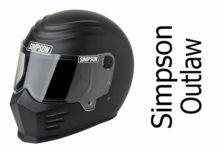 It's a decent price too and scored three stars in SHARP's helmet safety test. So, if you're on the lookout for a mid-priced composite fibre flip up helmet, then the Scorpion's got a lot going for it and is well worth checking out. Just bought an Eco 3000 and it came with a pinlock inner visor. Bought as it was the most comfortable. Cost was £189 from Infinity.